While a Georgia divorce is generally not inexpensive, you can count on the attorneys at Kitchens New Cleghorn, LLC to strive to keep your legal costs reasonable and save you money wherever possible. So you know what to expect when working with our lawyers, we have laid out a general framework below of the divorce process and the costs involved. To begin the process, our Atlanta divorce attorneys will happily provide you with a consultation by phone so that our lawyers can talk to you, get to know you, and listen to some of the details of your case. For a contested divorce, our firm will generally require a retainer beginning at $5,000.00. Please keep in mind that no two divorces are the same, so the final costs for a contested divorce, as well as the amount of the retainer, will vary depending on your particular situation. It is our policy always to do our best to keep the price of your divorce down and your legal fees reasonable. If you are dealing with an uncontested divorce, the cost may be considerably lower. 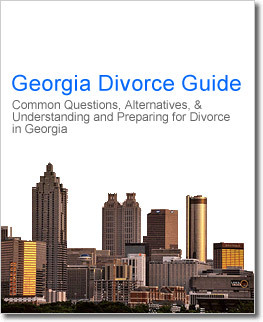 Our attorneys handle a wide variety of Georgia family law cases, including prenuptial agreements, adoptions, child custody negotiations and modifications, child support negotiations and modifications, domestic partnership formations and domestic partnership dissolutions, and much more. Naturally, the cost of our retainer will depend on the facts and legal complexities of your case, so we encourage you to call us and set up a consultation with one of our attorneys. Thank you all. It has been a pleasure working with you during what has been an otherwise unpleasurable situation. Transferring my case to your firm was without a doubt a good decision. Regards, Brian. I’ve used Kitchens New Cleghorn on a number of different occasions and they have done a great job every time. I recommend them highly. I’ve worked with Kitchens New Cleghorn on several legal matters. They are smart, thorough and such a pleasure to work with. They are my first recommendation to anyone seeking legal services. The Kitchens & New team is way ahead other lawyers I have used. It seems like they can fix any problem I run into without much effort. I have always been really impressed by them. Once again I just wanted to say thank you. You are an angel and God blessed me to have you come into my life.On one of the happiest days of my life was when this VA mess was behind me.I wish nothing but continued success for you and your firm. Thank you Jon and all of KNC for standing by me during these unpleasant times. Your knowledge, experience and advice was exactly what I needed. I will not hesitate to call on you again. Whether your legal matters are simple or complex, Jeff Cleghorn and Randy New can work for you, quickly, efficiently and thoroughly. They and their colleagues are experienced, knowledgeable individuals of high moral standards. That’s what we need when we look for legal help. With a team of law professionals that is almost unsurpassed, Kitchens New Cleghorn is your top choice. Joyce Kitchens, Randy New and Jeff Cleghorn fight for their clients.